Provides a store of information and opinion on the influential characters of the twentieth century - from politicians, sportspeople, musicians, writers and artists, to pop stars and military personnel. This book includes pictures from "The Times" archive. "The Times Obituaries" have given readers throughout the world an instant picture of a life for over 150 years. 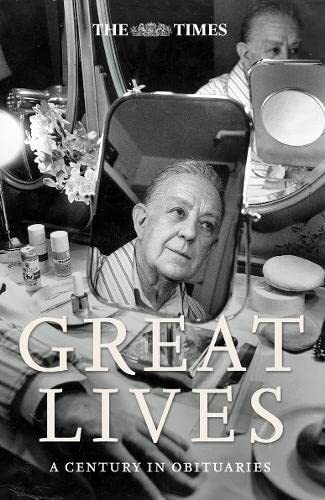 "The Times Great Lives" is a selection of 100 of these pieces, reproduced in their entirety, by editor of the "Obituaries", Ian Brunskill. This book provides a rich store of information and opinion on the most influential characters of the twentieth century - from politicians, sportspeople, musicians, writers and artists, to pop stars and military personnel. All of the major figures that one would expect to find in a book of great 20th century lives are naturally included. However, there are also some unexpected figures who were not necessarily in the limelight but whose lives have nonetheless had an great impact on the world we inhabit today. Throughout the book there are pictures from "The Times" archive, some of which have not been seen since the obituary was first published. "The Times" brings world class journalism and research to this title. This book also has a foreword by "The Times" editor of the Obituaries, Ian Brunskill.